Angklung is a traditional musical instrument of Indonesia, comes from the land of Sunda, West Java. Made of bamboo and distinctive sound produced from the bamboo pipe body collision shaken when played. 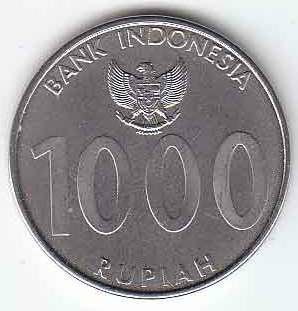 Instrument that has been known since the Sunda kingdom was originally created and played aims to lure Dewi Sri down to earth people that rice plants can thrive with abundant yield. It also serves as a tool in fighting spirit penggugah the colonial period. Therefore angklung been banned during the reign of the Dutch East Indies government. But after that, angklung is spreading to many areas such as Java, Kalimantan to Sumatra. 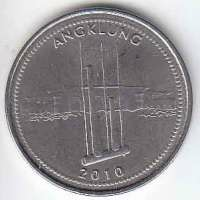 So the reasons for choosing angklung as the main image on the coin is intended as a way to preserve national culture.